MANILA, Philippines - From the very start, President Rody Duterte hates drugs and corruption. In fact, he hates corrupt and drug-addicted cops more. A businessman based in Parañaque City publicly confessed on social media that a rookie police officer allegedly harassed and tried to extort money from him in exchange of business protection. Kenneth Ang, who's a well respected entrepreneur in his home city owned a fitness gym and a bar and restaurant. He admitted that he's friends with majority of the police in Parañaque. Out of good will and patriotism, Kenneth allows all law enforcers to use his gym equipment for free. The police are also being given a well-deserved accomodation in his bar during their off duties for some rest and recreation. Ang fearlessly shared a shocking and dismaying experience of him with a newbie officer. 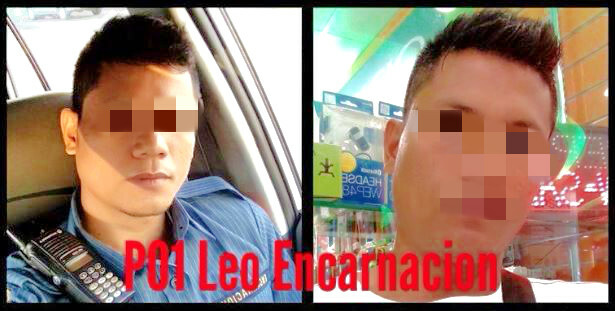 The businessman openly named the alleged rogue cop as PO1 Leo Encarnacion. He narrated on his facebook account that he received an unsolicited text stating that the message sender wanted to meet him in his bar. Kenneth being friends with all the police in his area initially thought that the texter was more likely one of his police acquaintances. Without thinking twice, he headed to his restaurant to see the person. When Kenneth reached his business place, he then recognized the man who earlier texted him and it was PO1 Leo Encarnacion. Officer Encarnacion started to talk about his personal life and even his family problems. At once, Kenneth felt and knew that Encarnacion was somehow asking for money as the cop continued to tell him "po-protektahan kita." Ang wanted to end the conversation because bribery is not his cup of tea. Kenneth said goodbye to Leo but the latter followed him outside and mockingly asked him if he really doesn't want any police protection for his businesses. Encarnacion reportedly threatened Ang to shut his establishments down. But Ang replied that there's no way for him to close his businesses for they are all legal and have permits and licenses. Ang wished to amicably confront the police officer but kept his distance and walked away straight instead when he realized that Encarnacion was with someone else to avoid any unfortunate events. Out of frustration, PO1 Leo Encarnacion advertently fired his service firearm which Kenneth saw from the third floor of his place. Both PNP Chief Ronald Dela Rosa and President Rody Duterte don't condone cops' abusive action towards the citizens. If proven guilty, PO1 Leo Encarnacion will surely be dismissed of his position and could possibly face administrative raps for extortion, alarming scandal, grave threat and illegal use of firearms.